Good drummers play their instrument well. Great drummers play their instrument as if they were percussion colourists. Each drum and cymbal, and each of the myriad percussion instruments become, in their hands, deep wells of colour on a many splendored palette and the sticks and brushes turn into an assortment of paint brushes with which they paint their masterpieces. Now there are also percussion colourists and there are the ones who truly stand out. Antonio Sanchez is one of that latter, singular minority. He does not hammer his drums alone. He also caresses the skins like a great conguero would. He makes love to his drums and even when he is making individual statements—as in soli—he is seems to be singing in praise of his mistress with unexpurgated soulfulness. Mr. Sanchez was recently passed over for a nomination for best original film score for the last Oscars. 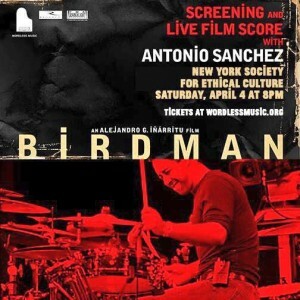 This was for the ravishing score that he wrote for Alejandro Gonzalez Iñárrítu’s film Birdman. Those wonderful folks who make the oddest of choices sometimes suggested his score was not “original” enough to qualify. But had they a brain-cell between themselves, they might have dug a little deeper. Then they would have discovered the clarity of texture and nuanced colour that was audible in Antonio Sanchez’s lines—the myriad of lines he wrote and played throughout the film. But sometimes those who sit in judgement of an art need lessons in its appreciation. W.H. Auden said it best in his essay from The Dyer’s Hand entitled “Making, Knowing and Judging”. Mr. Auden was speaking there of the art he practiced and upon being asked to assume the Poetry Chair at Oxford, he looked with much awe at the art he would teach (by example being the great poet that he was) and found that unless you “Make” you might never “Know” how to “Judge”. Mr. Auden also noted, “Whatever its actual content and overt interest, every poem is rooted in imaginative awe. Poetry can do a hundred and one things, delight, sadden, disturb, amuse, instruct—it may express every possible shade of emotion, and describe every conceivable event, but there is only one thing that all poetry must do; it must praise all it can for being and for happening.” Now, while Mr. Auden was speaking for his art, he may as well have been speaking for all art. 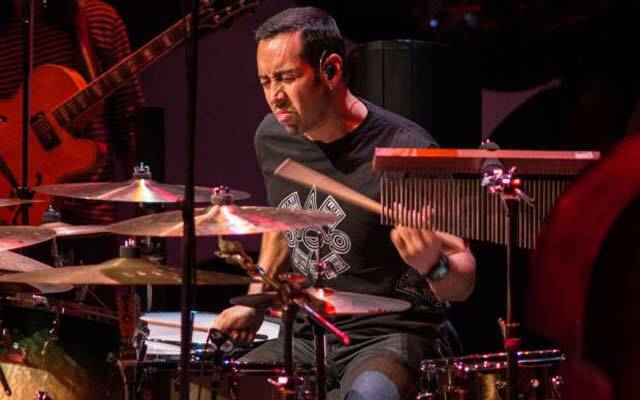 The art, for instance, that Antonio Sanchez practices with such extraordinary power and beauty.